The British Gazette » Financial matters of note. 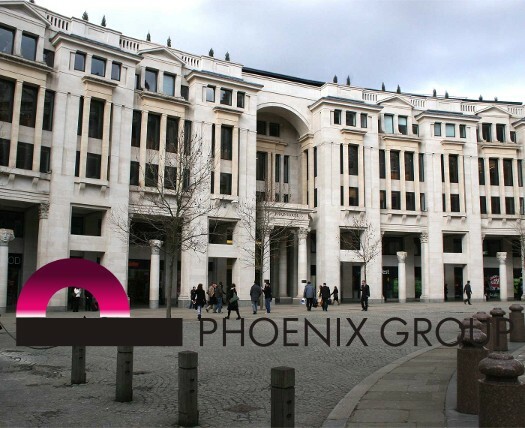 This morning there was a significant development in the British success story that is the Phoenix Group. On Monday the FTSE Russell index changes take effect. Phoenix Group Holdings and online takeaway portal Just Eat join the FTSE 100 at the expense of gambling firm GVC and oilfield services company John Wood Group. On a sombre note, Germany’s two biggest lenders, Deutsche Bank and Commerzbank, will hold formal talks about a merger. British Gazette comment: Whilst some of the ignorant imbéciles in the House of Fools are considering that a No Deal Brexit is preferable to a two year delay, intelligent and sane persons such as the boards of Phoenix Group Holdings, Deutsche Bank and Commerzbank are devoting their energies to serious issues and not meaningless votes. The latter two corporations, Deutsche Bank and Commerzbank are looking at a merger in much the same way as two people stranded in an Arctic wilderness hug each other for shred bodily warmth. In both instances – banks and humans – the actions are for survival. Be in no doubt, if Deutsche Bank and Commerzbank go down so does Germany and with it the Eurozone and with it the EU. Now there might at this point be some idiots who will shout: Oh good! To these idiots it is best to remind them of the banker’s truism: If your client owes you one thousand Dollars/Euros/Pounds they are at your mercy. If your client owes you one trillion Dollars/Euros/Pounds you are at their mercy!